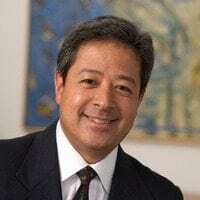 Michael V. Nakamura is an experienced and compassionate lawyer committed to achieving justice for his clients, primarily those who have suffered devastating injuries as the result of the negligence of others. Clients often come to Mike when they are confused, intimidated or overwhelmed by the legal process, and are unsure about their rights as a victim. As a result, Mike is often hired because of his calming manner and willingness to take the time to explain the legal process. This comforting patience coupled with more than 20 years of experience in protecting and enforcing victims’ rights in situations involving personal injury, wrongful death, and medical malpractice, makes Mike an ideal choice for many clients. Mike has a national practice with noteworthy experience in catastrophic motor vehicle accidents, wrongful death cases of all kinds and brain-damaged baby cases, both in state and federal courts. He also has handled many Federal Tort Claims Act (FTCA) and Military Claims Act (MCA) cases, successfully representing family members of armed service personnel who were injured by medical malpractice at military hospitals in the U.S. and overseas, including in Japan, England and Germany. He has significant jury trial and bench trial experience, and is skilled in mediation and negotiated settlements. His past experience as a judicial law clerk and as a business litigation attorney encompassing a wide range of legal areas serves his clients well in the balanced evaluation of legal issues, including insurance coverage disputes, consumer protection cases, automobile dealer-manufacturer issues, and other business litigation. Mike has litigated in 11 states and federal courts in Maryland, the District of Columbia, Virginia, California, Florida, Georgia, Indiana, North Carolina, South Carolina, Tennessee and West Virginia. As an authority in the fields of personal injury, wrongful death, and medical malpractice, he has served as a moderator or speaker at countless seminars. He has also appeared on several local television programs on such topics as dog bite liability, gun liability and premises liability. As a testament to Mike’s integrity and sound judgment, he is one of a few individuals selected to serve on the Character Committee of the 7th Circuit Court of Appeals of Maryland, the court-appointed group of volunteer lawyers responsible for reviewing the character and fitness of applicants, maintaining the court’s Code of Professional Responsibility and upholding the ethics of the profession of law. In addition to his leadership role within the court, Mike has been deeply involved in premier legal organizations, including the American Association of Justice, Maryland Association of Justice and the Trial Lawyers Association for the District of Columbia. He is routinely asked to give presentations before these groups, and participates in their various education-related committees, which continually strengthens his ability to help protect his clients’ and achieve justice on their behalf. Georgetown University Law Center, Washington, District of Columbia, 1989, J.D. “I was recently represented by Mike Nakamura at this firm and I was well represented, the staff were wonderful and always professional. I would recommend them to anyone that is looking for great legal representation. They were very responsive to all my questions and made sure that I understood everything.” -Adrian W.
“I was referred to Shulman Rogers by someone my mother knows, and I couldn't have made a better decision than to contact them. They took 100% of the weight off of my shoulders, which allowed me to start living again without worrying everyday about the accident and lawsuit against me, which I will forever be thankful for. I was extremely pleased with this law firm, and will gladly refer them to anyone I know that may need legal advice.” -Christina A.